This article is meant to assist you with closing case in the extendedReach system. From a case file, hover over the “Discharge” button in the action bar and click on “Discharge Case”. 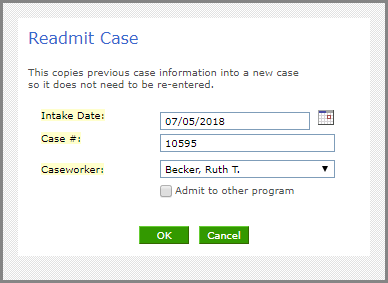 From a case file, hover over the “Reopen” button in the action bar and from the drop-down menu, click on “Readmit (New Case)”. 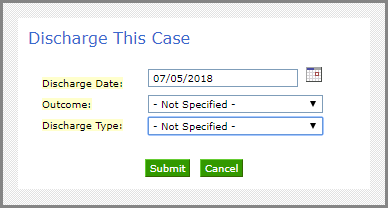 Verify the fields are correct, make any changes if necessary, and click OK.
From a case file, hover over the “Reopen” button in the action bar and from the drop-down menu, click on “Undo Discharge”. If selected, all discharge data will be lost.